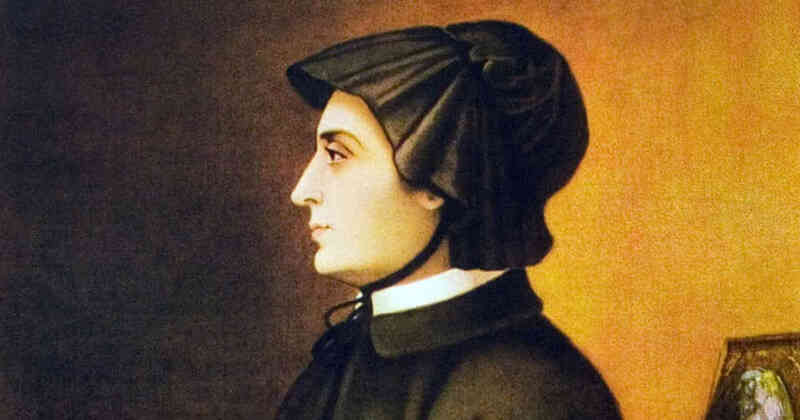 In late 1803 Elizabeth Ann Seton, with her husband, left the United States for Italy, as a confident, high-born, wealthy, educated Yankee Protestant. She returned in June 1804 bankrupt, a widow, burning with love for the Holy Eucharist, tenderly devoted to Mary, and with the heart of a Roman Catholic. She was received into the Church the next year. Her upper class friends and family abandoned her out of anti-Catholic spite. Our saint was an unexpected convert. She was, well into adulthood, a serious U.S. Episcopalian. She loved the Lord. She loved the Bible. She loved to serve the poor and the sick. Her excellent Episcopalian upbringing provided sufficient preparation for not being Episcopalian any longer. She took that faith as far as it could go. She probably never suspected her faith was lacking until she experienced the abundance of Catholicism. After her husband died of tuberculosis in Italy, Elizabeth and her daughter were taken in by family friends from that country. In God’s providence, this Italian family lived their faith with relish. Elizabeth was not only consoled and cared for by them in her grief, but also saw how engrossing their faith was. The longer she stayed in Italy, the more its Catholic atmosphere enveloped her. She wept at Italians’ natural devotion to Mary. She wondered at the beauty of a Corpus Christi procession through the streets of her town. She understood the Holy Father’s link to the early Apostles with clarity. And so she came to see the gaps in her native religion. She hadn’t noticed them before. Having seen the real thing, she knew that she held a replica. After her conversion, Elizabeth spent the rest of her short life dedicated to Catholic education. She started a Congregation of sisters in Maryland which taught girls, especially poor girls who could not afford an education. She was the first of tens of thousands of teaching sisters to operate Catholic schools in the United States. She is rightly considered in the United States as the foundress of Catholic parochial education. Besides her husband, she also lost two of her five children during her lifetime. She struggled, like all founders, to build up her Congregation. But her intelligence, charm, and drive paid off. Her Order thrived and thrives still. The Daughters of Charity of St. Vincent de Paul gather each year on this feast near her tomb inside an immense Basilica in northern Maryland to thank God for their foundress, for a life so well lived. 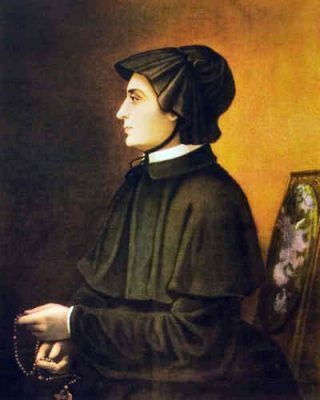 St. Elizabeth Ann Seton, aid us in overcoming the alienation of family due to our religious convictions. Help us to persevere through the hardships that come through illness and death, and give us the same zeal for souls that you showed toward your students, seeing in each of them the image of God.